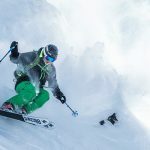 Last season, Armada added a new metal-laminate to the Invictus 89 TI, which gave the ski better edge hold, a damp reliable feel—especially in softer snow—and a big sweet spot for arcing turns with authority any time you head off the groomed. 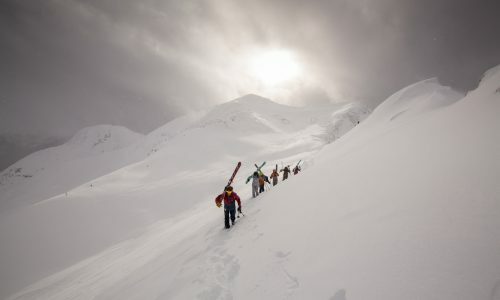 That wonderful dampness does come at a cost to the ski’s liveliness, as some testers would have liked a little more pop underfoot. 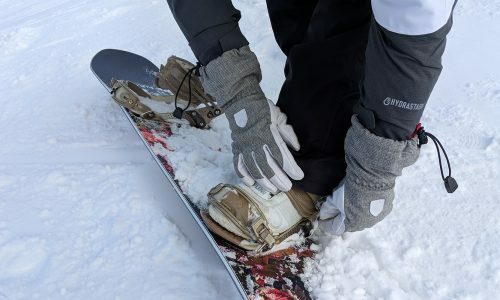 And the ski did feel a little more comfortable in mixed snow than most skis in the Frontside Category (mostly because of that huge sweet spot and the pronounced tip rocker), which is certainly something to consider for skiers who want a ski specifically for harder snow. Overall, a good pick for someone who wants a Frontside ski for most days of the year. The Armada Invictus 89 Ti’s recent redesign, which includes a new metal-laminate construction, feels like a ski that’s been working out in the offseason, hitting the hill with power, authority, and an easy-to-access sweet spot which provides a vastly increased sense of control. 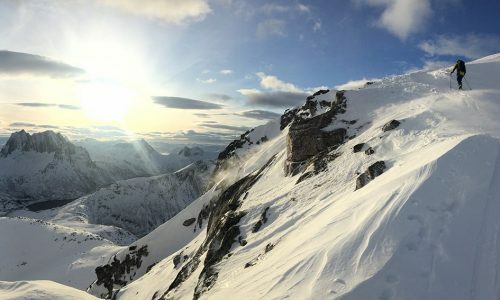 Testers found it damp and reliable, fun to ski off-piste, with plenty of tip and tail rocker for anyone who wants a mix of solid carving ability with a bit of a freestyle feel. The ski received high marks for Floatation, Stability, and Edge Hold. 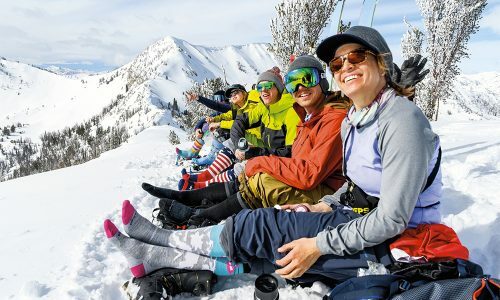 Those strengths also equal a ski that you can carve in a variety of softer snow situations, from bumps to windpack to slush. While the two new layers of titanal do radically improve the dampness of the ski, it does so at the expense of a lively, responsive feel. 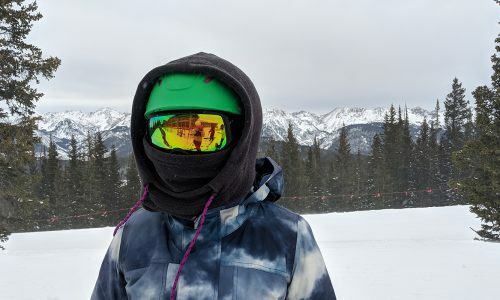 Our testers were mixed as to whether the pronounced AR Nose Rocker results in a greater ease of initiation for every turn, or a slight loss of confidence on harder snow. 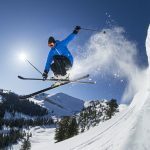 They could be both right here, as this is a well-built Frontside ski at a competitive price for advanced to aggressive skiers. The Armada Invictus 89 Ti got respectable scores from the majority of our testers in the Overall classification, with one 9, a few eights, and several 7s, although it also received a 5 and a couple of 6s from testers who wanted a ski with more Edge hold and Stability on harder snow conditions and groomers. The Invictus 89 Ti got some of the higher marks for float in the Frontside Category specifically because of the AR Nose Rocker, which provides a buttery smooth feel every time you start a new turn. 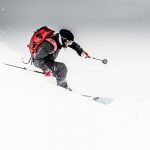 Off-piste, especially in the bumps and windblown snow, the rockered tip also provides more versatility and all-mountain performance than many other skis in this category, which means you can break it out when your hill gets a few inches of fresh pow. As mentioned, some testers would have preferred a little more edge contact in the shovel on harder snow. If you are looking for a purer Frontside ski (i.e., if you really love to rip groomers), Blizzard’s Brahma will better suit your style. That being said, the Invictus 89 Ti did get high marks for its Stability, especially in softer snow. The Titanal layers create a damp, smooth, ski-to-snow contact which greatly improves how the ski performs the further off-piste you go. The same sensation of the ski losing a bit of contact on hard pack impacted the scores for Edge Hold. Providing Float for off-piste and ease of turn initiation can sometimes come at the expense of grip, and that is definitely the case here. The Invictus 89 Ti did get one 10 (out of a possible 10) and two 9s from our testers for Edge Hold, and then a few 8s, 7s, and few 6s at the lower end. 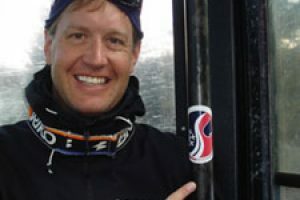 Those scores are impacted by how much you want a ski that performs better on harder, or softer snow. It’s still a pleasure to carve the Invictus 89Ti, especially off-piste, where the ski’s tip rocker and Titanal-infused dampness work wonderfully to improve initiation with a relaxed feel. While not getting the highest marks in the Carving category, it does provide a very predictable edge engagement that will make a lot of skiers happy without having to work in a super high edge angle. 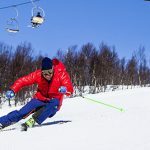 That’s the same case with Turn Shape Variability—you can quickly hammer out short swing turns in the steeps and trees on this ski, then open up into long, wide, GS arcs on an open face, all without working up a sweat. Thanks to that metal laminate, you’ll just be doing all those turns with a super damp feel. Armada’s Invictus 89 TI is an easy to ski frontside machine with a damp feel and excellent edge hold.